Light & Darkness Radio: Featured Today! "Lethian Dreams, Crimson Wind..."
Working hard to give you the best, the new, the Indie and the classic! I'll keep this brief! Here's Today Featured bands! composing process for Lethian Dreams first album. Later that year, a first promotional version of "Requiem for my soul, Eternal rest for my heart " is released. In 2007, the band decides to re-record it, as well as bringing on some new songs. This refreshed set was renamed "Bleak Silver Streams" and was released in 2009 through Orcynia Records. 2 years after this much acclaimed first album, the band composes new songs in a different approach, marking a more ethereal and acoustic sound. Set to be released via Twilight Records and Entiteled « Just Passing by...& Unreleased Requiems », this album of the band is a collection of unreleased tracks from Lethian Dreams. This collection features 4 new and totally unheard songs that the band wrote between 2005 and 2010. This new cd comes also with a reedition of the 2006 "Requiem for my soul, Eternal rest for my heart" promo CD that has been remastered for this occasion. 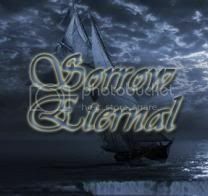 «Requiem for my soul, Eternal rest for my heart » is the first recorded version of the much acclaimed first album "Bleak Silver Streams" and offers different versions of the songs. 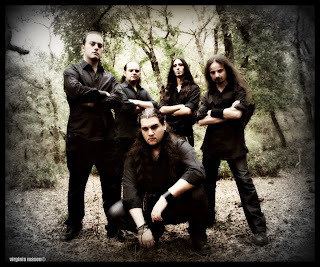 Crimson Wind (IT) - CrimsonWind are formed in Palermo in December 2008, when Claudio Florio (drums) also the drummer of Trinakrius, and Niki Zummo (bass) decide to create a band with strong influences in the roots of Heavy/Power Metal. Then Alessio Taormina (vocals) that is become also the singer of Thy Majestie, and Emanuele “Izzy” Bonura (guitars) join the band. The line-up is completed with the entry of Claudio Di Girolamo (keyboards). CrimsonWind propose a genre referable to Power Metal, but provided with sonority coming from the most disparate genres, thanks mainly to the different influences and musical experiences of the members (belonging also to other band among which Trinakrius and Der Geist, with recording experiences and live on a national and international level). Supported by great reviews of their first work, a promo with 2 songs, and by the liking of the live exhibithions by the public, the band focuses on the writing of new songs for the full-lenght. They decide to lead music and texts toward a thematic, the one of the man and of his reaction to what surrounds him, to the past, to the future, to the dreams, to the reality that he lives, to the emotions and the feelings, giving naturally birth to a concept album that is recorded in may/june of 2010 at the Dabliurec Studio. The result is “The Wings of Salvation”, the first album of CrimsonWind, that will be published in the first months of 2011 by IceWarrior Records, the label that showed most interest for the product.